There comes a time in every childs life that you need to have THAT conversation! You may think they are too young. You may think that they won’t understand. You might feel a little embarrassed. But really, is it ever to early to talk to your kids about design…and, if you think that they are ready, style. 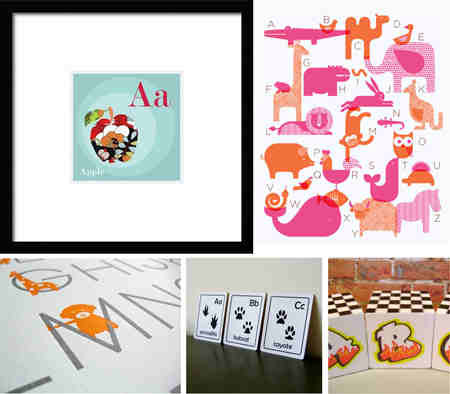 Luckily, these designers have come up ingenious way to slip in a little fabulous design with the basic ABC’s. Just think how proud you will feel when little Timmy refuses to watch the Berenstein because they are not stylish or appreciates the pen and ink technique of an old Disney movie. Yes, baby steps…but steps all the same.